In development — Coming soon. I mostly had to get rid of some old Sony work that was 7 years old, so I've got this here as a placeholder. I've redesigned my own portfolio site a few times but never taken the lead on redesigning an agency's website. I was very flattered when OMBU asked me to help with there site. 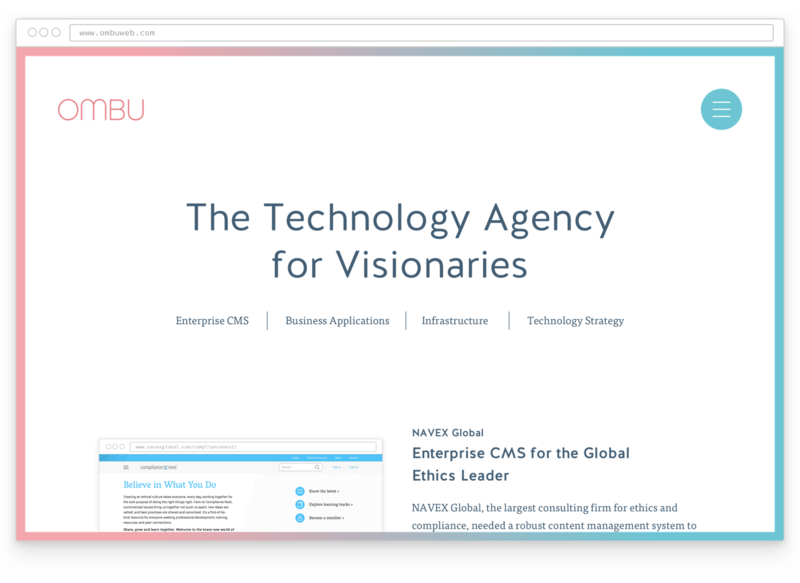 OMBU is smart little interactive agency with a lot of developers and just one designer. It's your standard agency model flipped on it's head. I've worked with them on a few projects and they're great. I'm looking forward to seeing this site built out!